A toilet is one of those devices we take for granted until it stops working. Most clogs are easily fixed with a good plunger. If your toilet is running after flash, then it’s time to roll up your sleeves and make the fix. To do this you’ll need to remove the tank lid and flush the toilet. You’ll see as it goes through its cycle where the problem is. All those parts inside your toilet can easily be replaced or adjusted. It will help to turn off the water once you identify the problem in order to make your fix. Speaking of shutting off water, you should also know how to shut off the main water line coming into your house. This is important to know when there is a leak somewhere that you isn’t directly tied to a sink. Shutting off the main line will stop the flow of water. 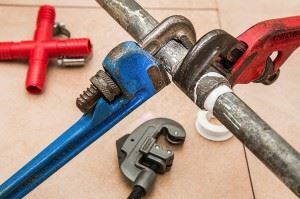 There are plenty of quick fixes to a leaky pipe that you can make before you need to bring in the plumber to make the repair. The older the home, the greater the chance of you blowing out a circuit when you overload outlets. The circuits in your breaker box need to be clearly identified. If they’re not, then you should take the time to flip the switches and label the energy zones that they control. When a circuit is blown you’ll notice that the switch seems to be out of alignment. A simple flip back and forth resets it and gets the power back on. If that doesn’t work, then it’s time to bring in the electrician. Along with making the simple fixes, it’s also your responsibility to make sure your home isn’t overrun with clutter. It’s easy to put things in storage down the basement or garage and forget about it. But sooner or later, you have to deal with that stuff. A call to Junk King Pittsburgh can be a big help. These are professional junk haulers who will send out a pair of reliable movers to take away all the unwanted clutter from your home. That includes any debris from the backyard. It doesn’t matter to Junk King Pittsburg how big or heavy something is. All that matters is that you want it gone. Put them to work today. This entry was posted in Junk King Pittsburgh and tagged fixes, homeowner, junk removal, rubbish on August 31, 2017 by Junk King. Last updated August 31, 2017 .